A typical vertical drop in the hills of Moscow is 50 meters, the length of the slope is 200-250 meters. 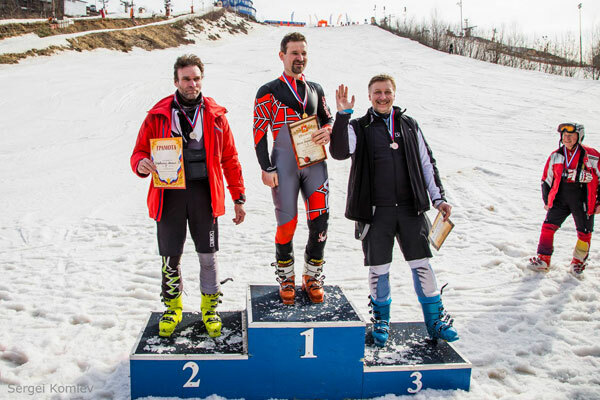 Therefore, to talk about the ski discipline “giant slalom” can only be with a big share of fantasy 🙂 Nevertheless, the competitions are held. In this season, perhaps finally found which skis are best suited to participate in competitions. This ski is a “giant masters” with a length of 180 cm and radius of a side cutout of 21 meters. It is hardly worth discussing how much riding from small hills corresponds to the notion of “alpine skiing”. We have what we have 🙂 The course of a special Slalom is (only) three times shorter than what is accepted in “real” competitions. Therefore, we can at least raise the question of some correspondence between the technique of riding and inventory. 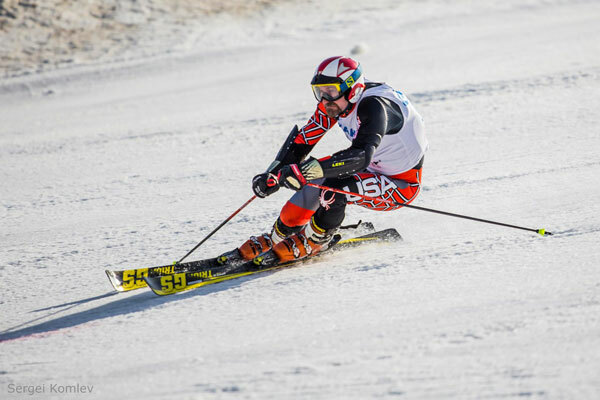 Giant Slalom, alas, does not meet the requirements in principle. Discussions about whether to do it at all or replace it with a “mini-giant” for slalom skis led a couple of years ago to clear rules for setting the course. This is 23-25 ​​meters between the gates and a sweeping (wideness) for skis with a radius of a side cutout of 27 m. That is, the arcs are not very stiff. 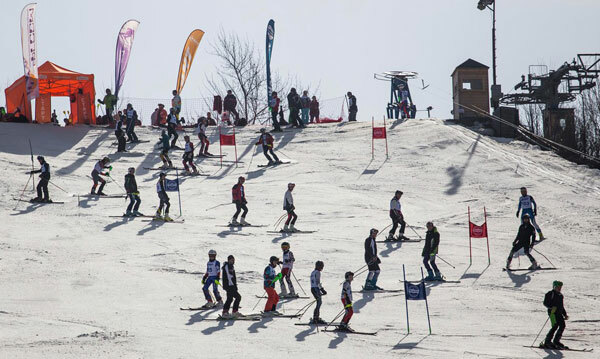 The meaning of this statement is that slalom skis should lose to the giant ones that were before the artificial restriction by FIS for 35 m for men and 30 m for women. 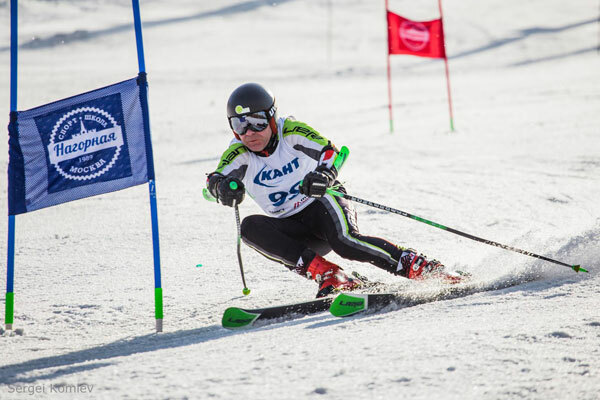 At our competitions on the so-called Giant Slalom perhaps the most important thing is, that the ski must have opportunity to cut a turn, and in every arc. It depends on the setting of course. One too closed gates and skis for slalom immediately have an advantage over the skis for giant. But if everything is set correctly, then skis R27 win. Some participants take on the competition two pairs of skis: for SL and GS and on the spot decide on which ones to go. But for mine it not good, because these skis are very different. So to feel confidence to compete on GS skis I need before to ski a day in free skiing, and better to arrange a training on the course. GS skis are different. And for our hills with small speed it is very noticable. For example, several years ago I tried Ogasaka giant skis (“for women”, R23) on the course. They differed brightly from my then race-stock “womens” Fischer in that they turned well at low speed, that is, immediately from the start and in the first third of the course had a huge advantage. It was like a miracle. In this season for the giant took seriously. In addition to the two traditional starts of the Amateur League with the declared setting of 23-35 m, R27, the Cup of the Regions started, in which the 4th start of the giant was planned, and on the hills with the vertical drops of 80+ m. Before the first start we arranged the “Week of Giant” (4 Training with timing). I needed to choose between my GS Fischer 183 cm, R26.5 and Atomic 191 cm, R27. In both skis I shifted the bindings forward for better steer until the workable speed was reached. According to the timing, the skis went the same speed, so chose Atomic. Others also chose something and made some conclusions. But it was already clear that the best skis are “masters” with a radius of 18-21 m.
After the first competition Alexei Yolkin, who had “long” giant Ogasaka R27 and R35, decided to order one more GS skis with length 180 cm. In the catalog they were designated as sports junior ones. They were ordered (we were three in the first batch). At the Ogasaka factory, we were corrected, reported through Iwamoto san that junior skis are not as “fast” as the “masters” series. They were ordered. And before that we summed up the experience of competing in the giant in Moscow. Skis should be “masters”, i.e. junior FIS is too flimsy for adults. The radius of the side cutout should be 21 m, and this is the most important characteristic. Length – which one correspond to this radius, depends on the manufacturer. For Огасака – 180 cm. Here Alexey Elkin on final in this season competitions. And for the collection, they are both on the “nightstand” (photo: Sergey Komlev), every first in his age, and in the absolute – the first and second place with a difference of 4 hundredths of a second. So in general, for the “Moscow” (or “st. Petersburg”, etc. 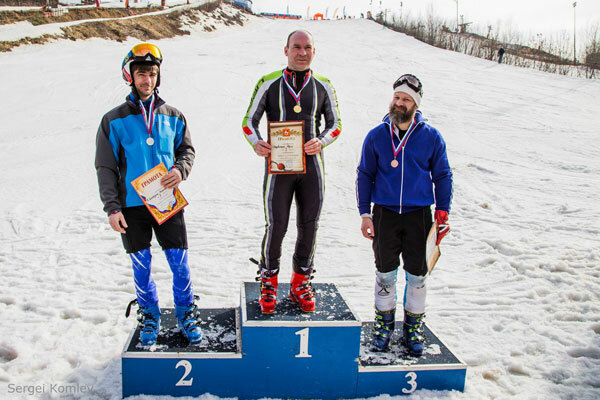 ), the giant slalom needs skis not as for the giant in the mountains. But also not slalom skis. The main characteristic is the radius of the side cutout. It should be 21 m (probably suitable 18-22 m). In addition, according to reviews, the skis should turn well at a low speed. 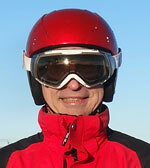 That is, probably will suit skis for usual skiing (like race carver), not necessarily “giant master”. But better to keep a bias to the sport, because the speed can turn out to be quite large. Another interesting observation. There are no differences between “for men” and “for women” skis. Sounds weird. Install a course for skis with radius of 27 m, while ski better with R21 m and a length of 180 cm and the same for and men and for women.